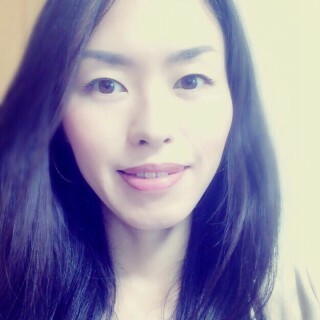 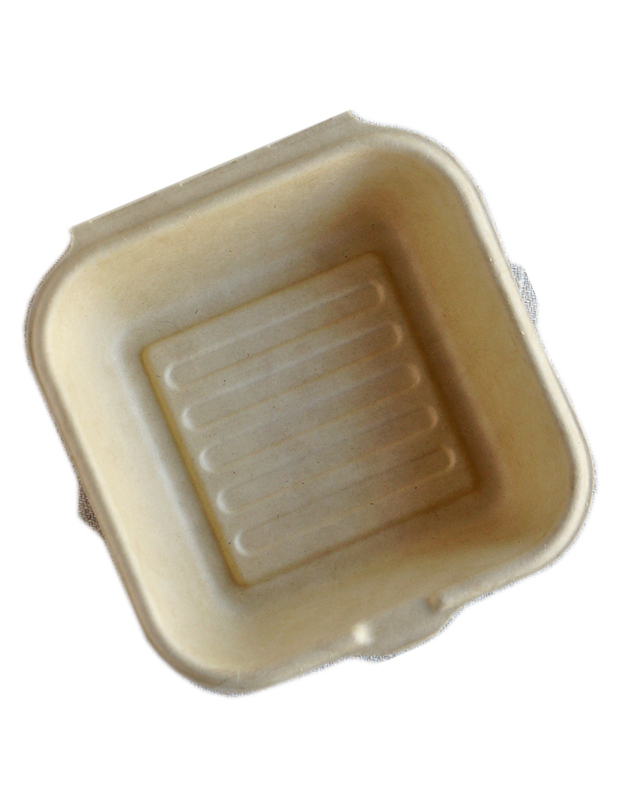 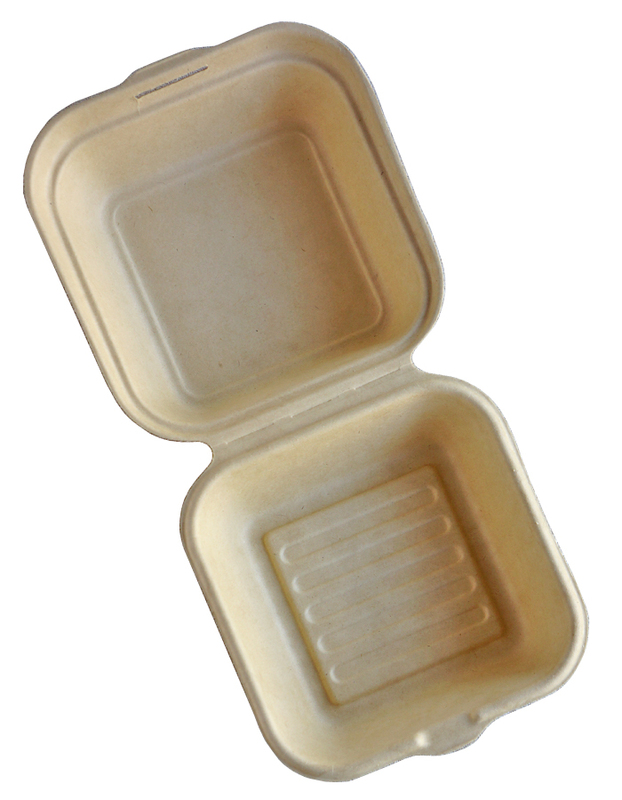 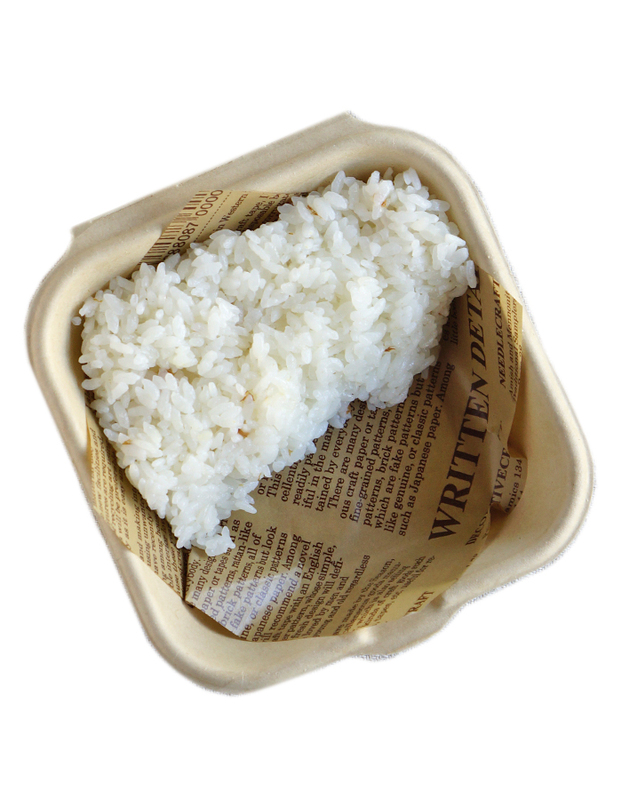 Start with the bento box; in this case, I use a disposable paper box. 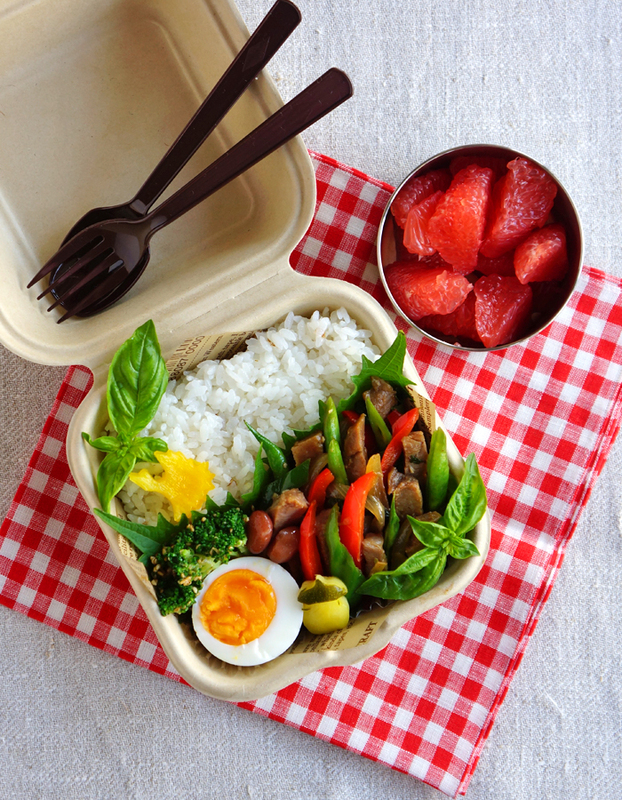 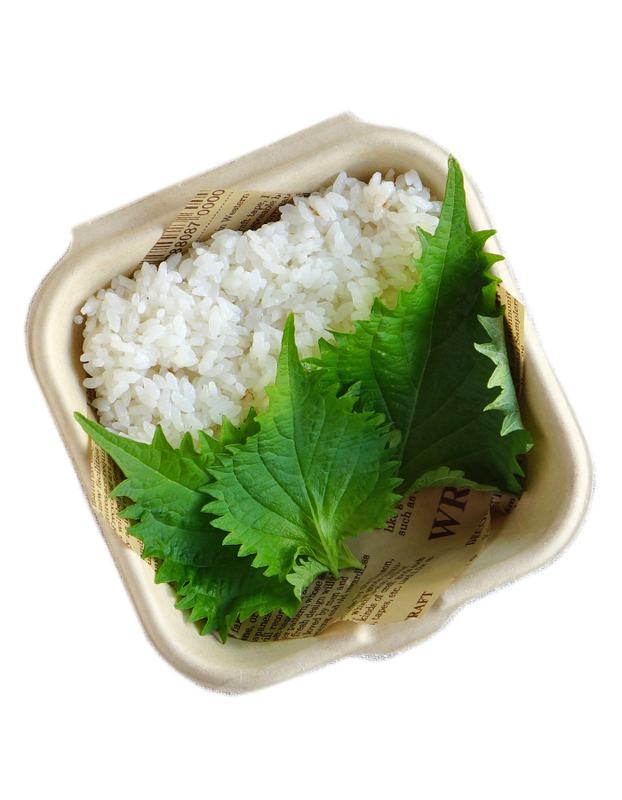 In this case, line the bento box with a piece of waxed paper to resist leaks and then pack rice into the bento box diagonally and use shiso leaves as a divider. 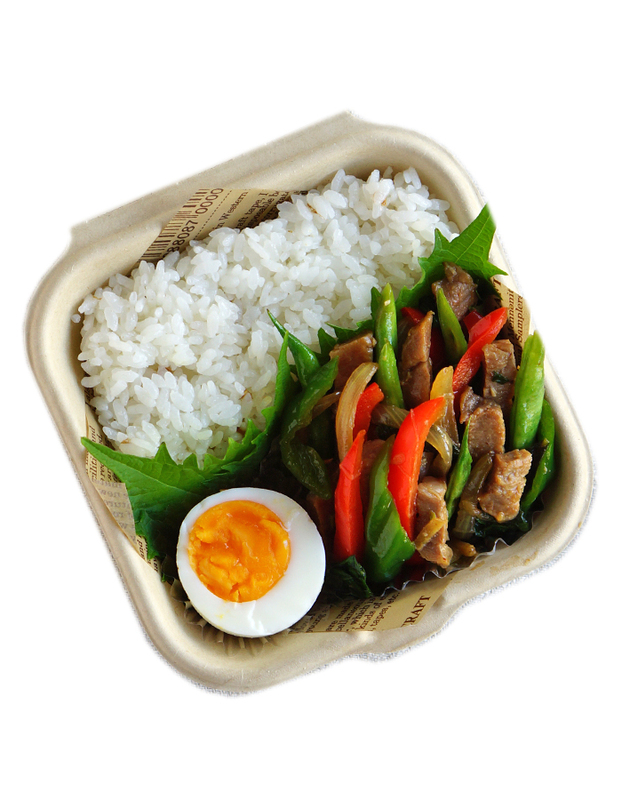 In this case, put the stir-fried pork with basil and a hard-boiled egg in the box. 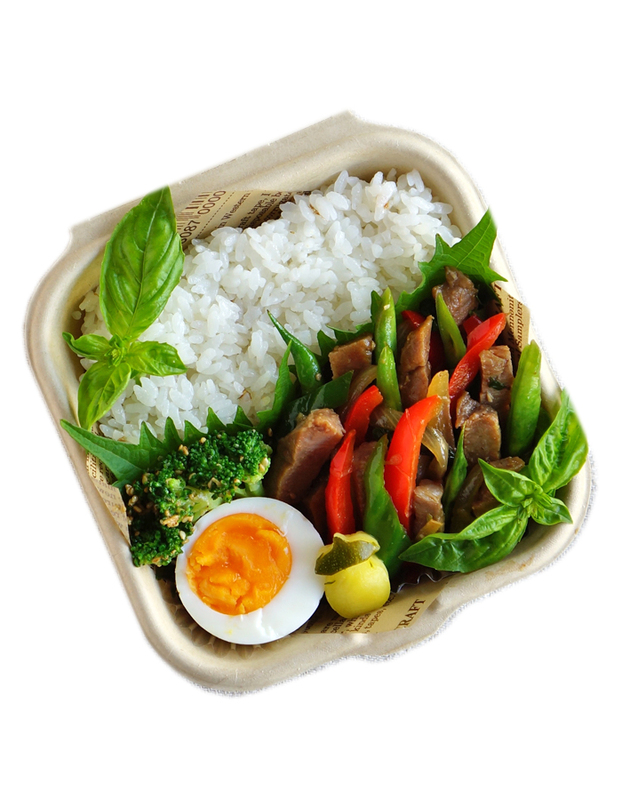 In this case, I filled the tiny empty spaces with simmered broccoli with sesame dressing and eggplant-shaped pickled zucchini. 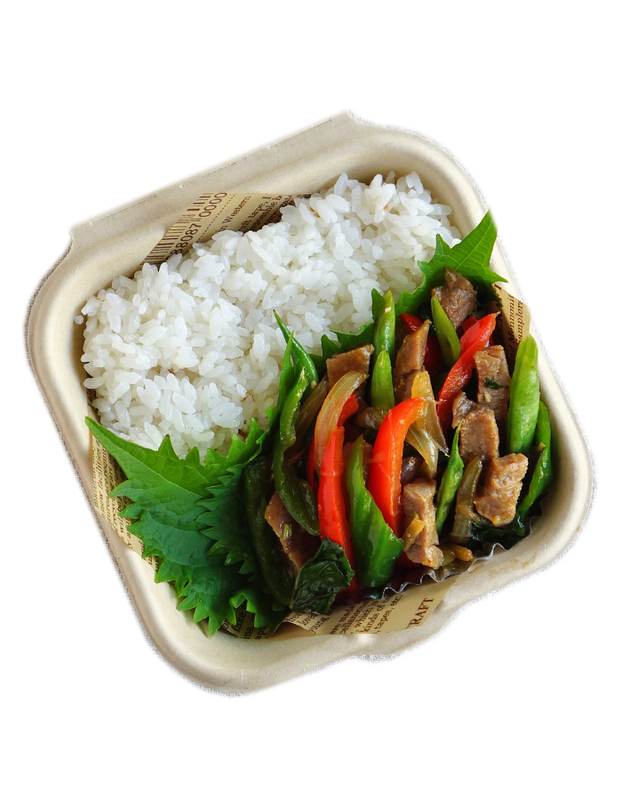 In this case, put fresh basil leaves and bird-shaped yellow bell pepper on the rice.